Senator Feinstein, the gun-grabbing Senator from California, says she wants to take all the guns from all Americans. “Mr. and Mrs. America, turn ‘em all in,” she says on the record. But while Mr. and Mrs. America are turning in their guns, ‘roid-head DHS goons are arming to the teeth with full-auto assault rifles. Among the initiatives outlined in Mr. Obama’s plan include universal background checks for gun sales, the reinstatement and strengthening of the assault weapons ban, capping ammunition magazines to a 10-round limit, banning armor-piercing ammunition, providing schools with resource officers and school counselors, putting more police officers on the streets, creating serious punishments for gun trafficking, and ensuring that health insurance plans cover mental health benefits. Several Sheriffs in Montana have reacted to the proposed new guidelines. Sanders County Sheriff Tom Rummel sent a letter to county residents on Monday outlining his position. In the letter, Rummel said he wanted to clear up any doubts about his stance on gun control and the Constitution. He said that our right to self defense is first and foremost “God given,” and that this right is protected in both the U.S. and Montana Constutions. He ended the letter by saying that he and his deputies will not enforce any federal regulations enacted by Congress or Executive orders of the President circumventing the rights of the citizens of Sanders County. Lewis & Clark County Sheriff Leo Dutton says that he’s responded to many concerned residents wanting to know his stance. Though no federal mandate has been ordered, Dutton says he will not take away guns from anyone who is law abiding and he doesn’t support confiscation of any weapons of any make or model. A Note from your Sheriff: I have been fielding a lot of questions lately regarding my opinion on gun laws. I will start out by saying as your Sheriff, I have taken an oath to support and defend the Constitution of the United States and Montana and I take that very seriously. This means I will not support any unconstitutional laws and I do not think any Sheriff would. I have also pledged to protect and serve the citizens of Cascade County to the best of my ability. Guns are on the forefront of debate when it comes to violent crime. This is where I get frustrated. There is more to violent crime than just guns and in my opinion, new gun laws will not change the fact we have violent crimes. We recently had a suspect drive through our County throwing pipe bombs at responding law enforcement trying to kill them. Also, there was a suspect that attempted to attack one of my deputies with a baseball bat that had fencing nails attached to it. Obviously, these people were not in their right minds and did not use guns to commit their violent crimes. I would like to see our lawmakers start working on mental health issues. Granted, not everyone with a mental health issue has violent tendencies so please do not take this the wrong way. We in law enforcement are the first to respond to a person having a mental health crisis and usually it ends with the persons arrested for disorderly conduct or trespass. I am here to tell you, jail is not the answer. These folks end up in my jail on a misdemeanor, and a lot of times they end up being charged with a felony because they act out and assault one of my staff and end up staying. This is not fair to people with mental illness. They need a place where they can go to get the help they need. It also takes a ton of time to get them committed and they have to wait in jail while the process takes place.Remember these folks have rights as well. We in law enforcement can’t even take them to the hospital unless they are a threat to themselves or others. Medical professionals are not allowed to inform law enforcement on mental health issues due to HIPAA regulations. This is a huge issue especially if the person is violent. I realize we have rights when it comes to medical treatment but when a person is violent and has the potential to harm others, we in law enforcement would like to know so we can take the steps to prevent violent crimes. What about all of the people with drug /alcohol induced mental health issues? These people are the most dangerous and a huge challenge for law enforcement. They do not have a rational thought process and will be violent at the drop of a hat. Most of the violent crime cases I have investigated were a result of alcohol/drug use. I could go on and on. My point: our lawmakers need to slow down and take a look at the big picture and the many pieces of the pie that make up violent crime. More gun laws are not the answer. We have good gun laws already on the books. Knee jerk reactions usually never work out and mistakes get made. I am a firm believer in our Constitution and the 2nd Amendment. I have been a responsible gun owner for years. My friends and family that own guns are responsible and law abiding citizens as well. We have a lot of good responsible gun owners in Cascade County exercising their 2nd Amendment right so let’s not turn these law abiding citizens into criminals with the swipe of a pen. Some of you may not agree with my opinion and I respect that. I have talked to a lot of people regarding this issue and the bottom line is, and we have all agreed, that we need to look at the big picture. Here in Montana, we have the first week in March, beginning on the first Monday, designated as Right to Keep and Bear Arms Week. 1-1-224, M.C.A. Written and pushed by MSSA, this law establishes the first week of March as an official period for Montanans to celebrate their cherished right to keep and bear arms. 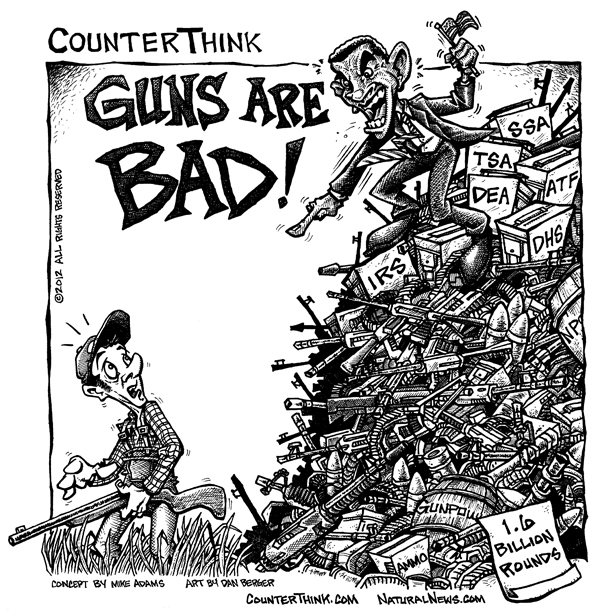 Washington, D.C. – A new coalition of gun rights and conservative groups has proclaimed January 19, 2013, “Gun Appreciation Day” (GAD) and begun urging Americans nationwide to show their support for gun ownership by turning out en masse at gun stores, ranges, and shows from coast to coast. Scheduled to send a message to Washington two days before Obama’s second inauguration, the “Gun Appreciation Day” is expected to rival “Chick-fil-A Day” as a public statement of protest against government policies. The Gun Appreciation Day currently includes the following coalition members: Second Amendment Foundation, Citizens Committee for the Right to Keep and Bear Arms, Special Operations Speaks, Revolution PAC, Citizens and Country, Social Security Institute, Committee to Draft Judge Andrew Napolitano, Conservative Action Alerts, Women Warriors PAC, Conservative Action Fund, and Political Media, Inc. Additional organizations are expected to join in the days ahead. Gun Appreciation Day member organizations are urging their supporters to line up “around the block” at gun stores, gun counters, gun shows, and gun ranges to protest the Obama administration’s post Sandy Hook assault on gun rights. The organizations expect to reach more than 50 million Americans over the next two weeks in support of the Gun Appreciation Day online, on air and in their members’ inboxes. Do you stay awake night after night, wondering what TWG is referencing when she uses the term “Glassy Eyed”? Well it’s a good thing you asked. Otherwise, this post would not exist. 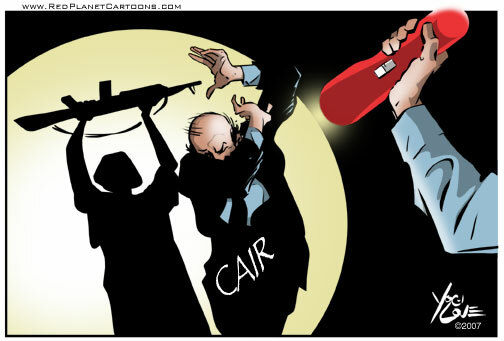 HAMAS LINKED CAIR IS AT IT AGAIN!!! ACTION REQUIRED BEFORE JANUARY 16TH!!! Hamas linked/Muslim Brother front group, Council of American Islamic Relations has been busy trying to pre-empt our American Laws for American Courts campaign. We cannot let our legislator be fooled by this nefarious group. RESOLVED that this body has full confidence in the U.S. Constitution and the laws of the state of Washington and does not entertain any concern that any foreign or religious law offers a threat to the law of the land. PLEASE write your Senator and your Representative warning them who CAIR is, remind them that there are states that have passed the American Laws for American courts which does not restrict anyone’s religious beliefs but only keeps foreign laws out of judicial consideration when their Constitutional rights would be taken from them and that it has been successfully used to protect Muslims in other states. I am attaching a “Fact Sheet” to counter the garbage CAIR is putting out and here is a sample letter you can use. Feel free to edit as you wish but please be respectful and factual. On January 16th, 2013, the Council for American Islamic Relations will be visiting Olympia for their annual “Muslim Day at the Capitol”. While we applaud any citizen who takes an active role in our government, we would like to give you some facts regarding the sponsoring organization. CAIR remains an un-indicted co-conspirator in the country’s largest terror financing trial, US v. Holy Land Foundation for Relief and Development which resulted in over 185 convictions. 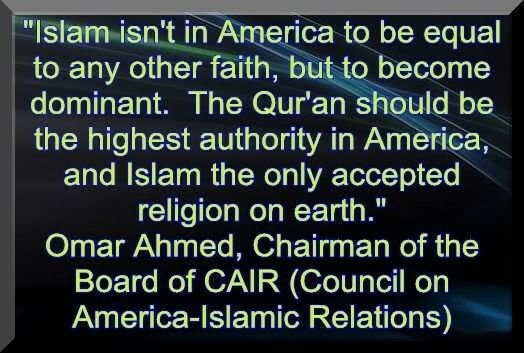 Many of CAIR’s founders and predecessors were convicted and are now in prison. The FBI has cut all ties with CAIR over their ties to Hamas and even Democrat Sen. Charles Schumer of the Senate Judiciary Committee requested that the ban on CAIR be enforced “government-wide. I have attached a Fact Sheet that you can keep in mind when you meet with the representatives of CAIR and sincerely hope you take the advice of the FBI and of Congressman Schumer to not align yourself with CAIR. TWG: How very Hitleresque. 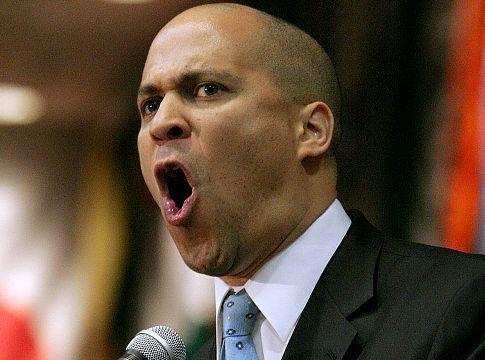 Cory Booker has always been an attention whore, but these politicians are foaming at the mouth over our Second Amendment today. This is something the Nazi’s did in 1930’s Germany. Americans did not learn from the horrors of the past. We’re repeating history, folks. Only THIS time, it’ going to be FAR worse than anything Hitler was able to do. VERMONT LAW ABIDING GUN OWNER and EDUCATOR ARRESTED AND COMMITTED TO MENTAL INSTITUTION FOR SPEAKING NEGATIVELY ABOUT TEACHERS UNIONS! TWG: Hitler? Is that you? This is asinine. The premise that law-abiding gun owners can’t speak negatively of communists, teachers unions and the “educators” that are brainwashing our children, lest they be detained and committed to a mental institution, is simply one of the most dangerously fascist ideas I’ve seen thus far in this once great Nation. People had better start paying attention to this type of demonizing. Hitler and his goons did this, too. They detained those who spoke negatively about them, and they committed them to “Mental Institutions” where they were subsequently murdered. Don’t believe me? Look up the “T-4” program. We’re in for some very dark and dangerous days ahead when good people who abide by the laws are detained and committed to institutions for speaking negatively about the “establishment”. BENNINGTON, Vt. — A local teacher surrendered a Bushmaster semi-automatic rifle to police Monday, shortly after raising public safety concerns through videos and statements he posted on the Internet. Davis purchased the AR-15 military-style rifle in April 2009, along with two high-capacity magazines and 500 rounds of ammunition. The gun and magazines were surrendered to police Monday and police later confiscated the ammunition during a search of his home that was permitted by a family member. “Based on my experiences as a firearms instructor here and looking at the weapon, I do not believe he’s ever fired the weapon. He has, in fact, indicated that he has never fired the weapon. There are no scrape marks or scuffs on the magazines or the magazine well, which, again, would indicate to me that he has never fired the weapon,” Doucette said. After the welfare check Sunday evening, Davis’ wife and children went to stay with a relative. She sought a restraining order the following day. In the order, his wife stated she was unaware that Davis owned a gun and said she and others have noticed a change in Davis’ personality over the last month. “I think that he’s probably driven at this point and wants to get out and push some of his ideas forward. There’s no doubt in my mind, at all, that he’s very concerned about the way that he’s been treated by the supervisory union. He’s very angry at the teachers union itself for going on strike last year,” Doucette said. The content Davis posted online struck fear in some members of the community as well as co-workers and students who were concerned for Davis’ safety. “We were getting inundated with telephone calls from school teachers because he was sending out emails. He was posting stuff on Facebook and it became disturbing to some people,” Doucette said. After viewing the content Davis posted, Doucette asked him to come to the station to speak, which Davis did voluntarily. Doucette said some of the statements made by Davis during that meeting were alarming. Doucette said he previously met Davis at a school function several years ago and met him again two weeks ago when Davis wanted to talk about ways to improve the community. Doucette said something was different when he spoke to Davis on Monday. Doucette characterized Davis as “driven,” but very intelligent and particular in the way he worded things. “It seems like he wants to improve the community, but at the same time, he’s definitely not going about it the right way and some of his actions are definitely alarming and raise a concern for public safety,” Doucette said. The seizure of Davis’ gun comes on the heels of a massacre in Newtown, Conn., in which 26 people — including 20 first-graders ages 6 and 7 — were gunned down in a school by a man with the same model Bushmaster AR-15 semi-automatic rifle. That Dec. 14 shooting at the Sandy Hook Elementary School shocked the nation and raised renewed calls for enhanced gun control laws and mental health awareness and treatment. The Newtown shooting also raised questions about the safety and security of schools. Several days after the shooting, the National Rifle Association, a powerful advocate for access to guns, called for armed guards in every school in America. In a phone message Davis left at the Bennington Banner newspaper on Wednesday morning, he read from a letter he wrote for one of his children in which he addressed surrendering the rifle. He denied any intent to harm others. “A very bad man recently used a similar rifle to hurt lots of boys and girls. Right now some people think I am like that bad man. I am not anything like that bad man,” Davis said. In that letter, Davis also assured his son he is feeling well and will be released in the next few weeks. In the same phone message, Davis explained he purchased the military-style rifle because it is similar to the M-16 he had used in the Army, making him familiar with how to take it apart and clean it. The Newtown shooting initiated a Southwest Vermont Supervisory Union-wide review of emergency response plans for every building and a search for ways to improve facility security concerns, according to Doucette and school officials. The high school and SVSU Central Office building had an additional law enforcement presence Wednesday as police checked in and drove by the buildings periodically. Doucette said the additional patrols will continue for the remainder of the week. “[Mount Anthony Principal Sue Maguire] and I have been working closely with the police department on security issues to make sure that safety issues have been addressed” said SVSU Superintendent Catherine McClure. A voluntary meeting of high school staff was held Wednesday morning during which Maguire made staff aware of the situation and how to address the situation if students bring it up. Maguire also visited each of Davis’ classes to introduce them to their substitute and listen to any questions or concerns they had. The high school also made school clinicians available to anyone who wished to talk about the situation. Doucette said police will continue to work with school officials as well as Davis and his family to ensure public safety. “The police department’s role in this going forward is to continue to ensure the safety of the community, to continue to ensure the safety of our schools and to hopefully work with Mr. Davis and his family to hopefully get things back on track and to help them through this. Mr. Davis is very well respected, is an excellent teacher,” Doucette said. 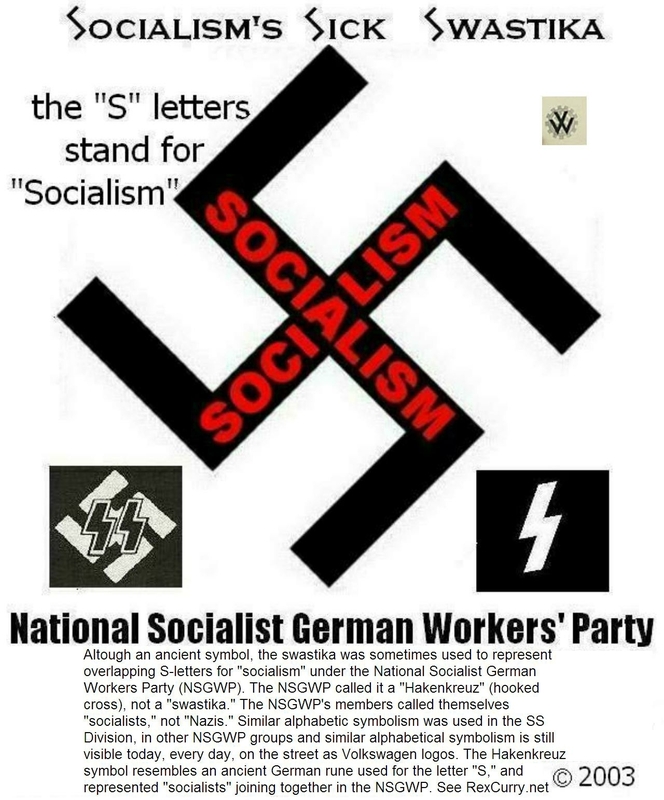 NEED A REFRESHER COURSE ON THIS PARTICULAR TACTIC OF THE SOCIALISTS/MARXISTS/COMMUNISTS/NAZIS? Here you go. 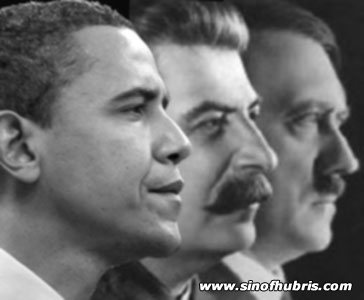 When you read this, keep in mind that obama and his regime ARE marxists, communists, socialists and nazis. Keep in mind that obama’s Science and Technology czar and eugenics freak, john holdren, holds the belief that the masses are “useless eaters” and a “festering mass of maggots”. I’d like to know what that evil monster has been cooking up for those of us who are opposed to their fascism and eugenics ideologies. Nazi Germany was not the first or only country to sterilize people considered “abnormal.” Before Hitler, the United States led the world in forced sterilizations. Between 1907 and 1939, more than 30,000 people in twenty-nine states were sterilized, many of them unknowingly or against their will, while they were incarcerated in prisons or institutions for the mentally ill. Nearly half the operations were carried out in California. Advocates of sterilization policies in both Germany and the United States were influenced by eugenics. This sociobiological theory took Charles Darwin’s principle of natural selection and applied it to society. Eugenicists believed the human race could be improved by controlled breeding. Still, no nation carried sterilization as far as Hitler’s Germany. The forced sterilizations began in January 1934, and altogether an estimated 300,000 to 400,000 people were sterilized under the law. A diagnosis of “feeblemindedness” provided the grounds in the majority of cases, followed by schizophrenia and epilepsy. The usual method of sterilization was vasectomy and ligation of ovarian tubes of women. Irradiation (x-rays or radium) was used in a small number of cases. Several thousand people died as a result of the operations, women disproportionately because of the greater risks of tubal ligation. Most of the persons targeted by the law were patients in mental hospitals and other institutions. The majority of those sterilized were between the ages of twenty and forty, about equally divided between men and women. Most were “Aryan” Germans. The “Sterilization Law” did not target socalled racial groups, such as Jews and Gypsies, although Gypsies were sterilized as deviant “asocials,” as were some homosexuals. Also, about 500 teenagers of mixed African and German parentage (the offspring of French colonial troops stationed in the Rhineland in the early 1920s) were sterilized because of their race, by secret order, outside the provisions of the law. Although the “Sterilization Law” sometimes functioned arbitrarily, the semblance of legality underpinning it was important to the Nazi regime. More than 200 Hereditary Health Courts were set up across Germany and later, annexed territories. Each was made up of two physicians and one district judge. Doctors were required to register with these courts every known case of hereditary illness. Appeals courts were also established, but few decisions were ever reversed. Exemptions were sometimes given artists or other talented persons afflicted with mental illnesses. The “Sterilization Law” was followed by the Marriage Law of 1935, which required for all marriages proof that any offspring from the union would not be afflicted with a disabling hereditary disease. Forced sterilization in Germany was the forerunner of the systematic killing of the mentally ill and the handicapped. In October 1939, Hitler himself initiated a decree which empowered physicians to grant a “mercy death” to “patients considered incurable according to the best available human judgment of their state of health.” The intent of the socalled “euthanasia” program, however, was not to relieve the suffering of the chronically ill. The Nazi regime used the term as a euphemism: its aim was to exterminate the mentally ill and the handicapped, thus “cleansing” the “Aryan” race of persons considered genetically defective and a financial burden to society. The idea of killing the incurably ill was posed well before 1939. In the 1920s, debate on this issue centered on a book coauthored by Alfred Hoche, a noted psychiatrist, and Karl Binding, a prominent scholar of criminal law. They argued that economic savings justified the killing of “useless lives” (“idiots” and “congenitally crippled”). Economic deprivation during World War I provided the context for this idea. During the war, patients in asylums had ranked low on the list for rationing of food and medical supplies, and as a result, many died from starvation or disease. More generally, the war undermined the value attached to individual life and, combined with Germany’s humiliating defeat, led many nationalists to consider ways to regenerate the nation as a whole at the expense of individual rights. In 1935 Hitler stated privately that “in the event of war, [he] would take up the question of euthanasia and enforce it” because “such a problem would be more easily solved” during wartime. War would provide both a cover for killing and a pretext–hospital beds and medical personnel would be freed up for the war effort. The upheaval of war and the diminished value of human life during wartime would also, Hitler believed, mute expected opposition. To make the connection to the war explicit, Hitler’s decree was backdated to September 1, 1939, the day Germany invaded Poland. Fearful of public reaction, the Nazi regime never proposed a formal “euthanasia” law. Unlike the forced sterilizations, the killing of patients in mental asylums and other institutions was carried out in secrecy. The code name was “Operation T4,” a reference to Tiergartenstrasse 4, the address of the Berlin Chancellery offices where the program was headquartered. The doomed were bused to killing centers in Germany and Austria walled-in fortresses, mostly former psychiatric hospitals, castles, and a former prison — at Hartheim, Sonnenstein, Grafeneck, Bernburg, Hadamar, and Brandenburg. In the beginning, patients were killed by lethal injection. But by 1940, Hitler, on the advice of Dr. Werner Heyde, suggested that carbon monoxide gas be used as the preferred method of killing. Experimental gassings had first been carried out at Brandenburg Prison in 1939. There, gas chambers were disguised as showers complete with fake nozzles in order to deceive victims — prototypes of the killing centers’ facilities built in occupied Poland later in the war. Meticulous records discovered after the war documented 70,273 deaths by gassing at the six “euthanasia” centers between January 1940 and August 1941. (This total included up to 5,000 Jews; all Jewish mental patients were killed regardless of their ability to work or the seriousness of their illness.) A detailed report also recorded the estimated savings from the killing of institutionalized patients. A handful of church leaders, notably the Bishop of Münster, Clemens August Count von Galen, local judges, and parents of victims protested the killings. One judge, Lothar Kreyssig, instituted criminal proceedings against Bouhler for murder; Kreyssig was prematurely retired. A few physicians protested. Karl Bonhöffer, a leading psychiatrist, and his son Dietrich, a Protestant minister who actively opposed the regime, urged church groups to pressure church-run institutions not to release their patients to T-4 authorities. In response to such pressures, Hitler ordered a halt to Operation T-4 on August 24, 1941. Gas chambers from some of the “euthanasia” killing centers were dismantled and shipped to extermination camps in occupied Poland. In late 1941 and 1942, they were rebuilt and used for the “final solution to the Jewish question.” Similarly redeployed from T-4 were future extermination camp commandants Christian Wirth, Franz Stangl, Franz Reichleitner, the doctor Irmfried Eberl, as well as about 100 others – doctors, male nurses, and clerks, who applied their skills in Treblinka, Belzec, and Sobibor. Between the middle of 1941 and the winter of 1944-45, in a program known under code “14f13,” experienced psychiatrists from the T-4 operation were sent to concentration camps to weed out prisoners too ill to work. After superficial medical screenings, designated inmates Jews, Gypsies, Russians, Poles, Germans, and others were sent to those “euthanasia” centers where gas chambers still had not been dismantled, at Bernburg and Hartheim, where they were gassed. At least 20,000 people are believed to have died under the 14f13 program. In all, between 200,000 and 250,000 mentally and physically handicapped persons were murdered from 1939 to 1945 under the T-4 and other “euthanasia” programs. The magnitude of these crimes and the extent to which they prefigured the “Final Solution” continue to be studied. Further, in an age of genetic engineering and renewed controversy over mercy killings of the incurably ill, ethical and moral issues of concern to physicians, scientists, and lay persons alike remain vital.